This is the most well known of the lot and for a good reason. Founded in 1753, the massive building has a section on every era of British history where you can learn loads and also have a look at the breathtaking objects that are displayed. It’s amazing for kids as well as adults as they always have many educational activities and workshops going on, plus you can get a backpack at reception on a particular era. This will include fun things to do and items to look out for in the display rooms. One of my oldest memories is going around with my dad in the Egyptian section looking at the mummies. The British museum is a fantastic museum where you can learn so much, not just about British history, but about the world. This is probably the best museum for kids, I’ve been there so many times and it never gets boring. Filled with loads of science experiments to try out and activities to have a go at, this is the building that children love to go to. It so cleverly made that kids learn about science and don’t even realise it. There are so many interactive things to do, plus the normal facts and displays that you find in other museums. This is probably my favourite museum but parents, bring a book as you might be sitting down for a while your children are doing the experiments. This is a fun museum that you only need a few hours to explore. The building is filled with the many vehicles that the public have used over the years and it is a quick but informative learning experience. There are quite a few interactive screens for the kids, plus you are allowed inside some of the vehicles like a double decker bus or a train carriage dating back over 100 years. It is a fun place to go and I especially liked the staff who dress up as old fashioned customers and speak to you in character. But I wouldn’t put it top of my list. Both of these museums are fantastic places to go if you want to learn about soldiers, wars and fighting. Both display an enormous collection of old fighter planes and other cool objects, they have rides, simulating what it was like to be in a plane during an attack plus lots of other interactive activities to have a go on. They also explain about the two world wars in a way so that little kids can understand. They are fun places to learn especially for adults but because there’s so much to see at the Imperial War Museum, younger kids may get a bit bored there. The RAF museum (based in Hendon, North London) may be better for a younger age group. This is lesser known than the others, but is a great building where you learn all about money in Britain and how it is made. You can explore the world of the pound and even try to lift up a real bar of gold. It is a really fun place to go with kids and once again you don’t really need the whole day to go there. In this post I have listed a few of my favourite museums in London but there are so many more like the Natural History museum or one of my personal favourites (and if you want to travel bit further afield) the National Maritime Museum in Greenwich. I hope this has helped you if you are planning a trip to London, and if you are – bring an umbrella. All the museums mentioned above – bar the London Transport Museum – are free to enter, although extras (such as the IMAX cinema at the Science Museum) do cost money. The RAF Museum is free, but you’ll have to pay to park in the car park! The London Transport museum costs £17.00 for adults and £14.50 for kids, but that gives you entry for a year. Read mum’s post on 5 free things to do in London! Ah – the Bank of England museum!!! It is a lesser known one but I went there a few weeks ago and lifted up a gold bar that was worth over £300,000!! That’s a nice memory! What a fabulous list! I used to love these places when I was younger too and I adore the fact my girls can enjoy the same experiences. I think we best take a trip to the science museum soon after reading this! Great reviews and list. Thank you very much – the science museum is particularly fab and for a wide range of ages. I love all of those! 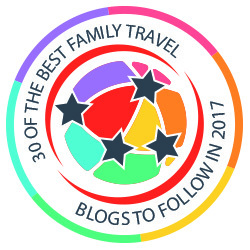 Really fab list and now I am itching to get back at to London and visit some again! Great list, there’s at least one there I still need to go to! Lovely list there Robert – I love the Imperial war museum! It’s less well known than the others, but it’s really good! The RAF museum is great, I’ve been there when my son was little. Some excellent ideas here, I also love the Natural History Museum – kids always love the dinosaurs! So glad it was useful! I think they’d really like the RAF Museum and the Bank of England. Hope you get to them! Me too – I love a good museum! Nice list, Robert. Looks like exactly what my son would’ve picked at your age except I had to drag him to museums. He missed out, didn’t he? I’ve seen the British Museum and I was absolutely in awe of it. I would like to return to London and see the other museums as well. I had no idea about the Bank of England Museum. Great post, Robert! Great list of Museums Robert!! I’d like to visit Imperial War Museum soon…. What a brilliant round up. I really want to make it to the Transport Museum, I think my three would love it. I worked in London for 8 years and haven’t been to any of the museums you just mentioned, but these sound great. I particularly love the fact that most British museums have free entrance too. So next time I am in London, I will make a point of visiting some of the lesser known museums.